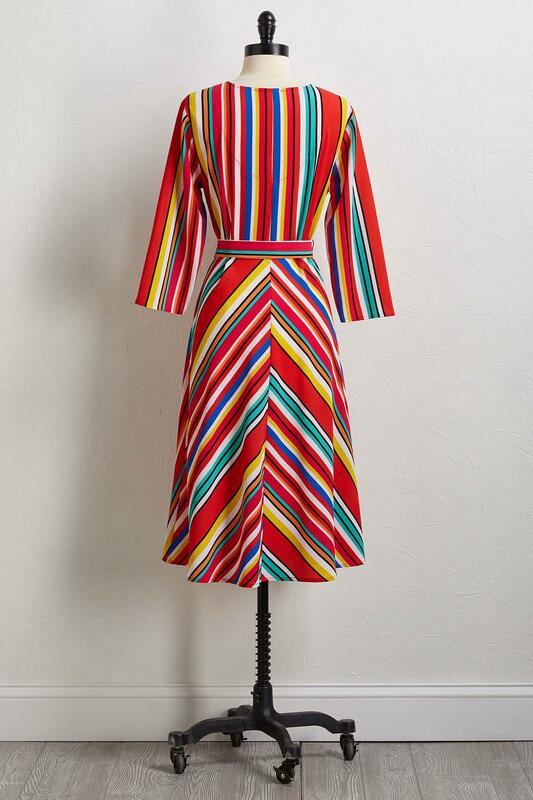 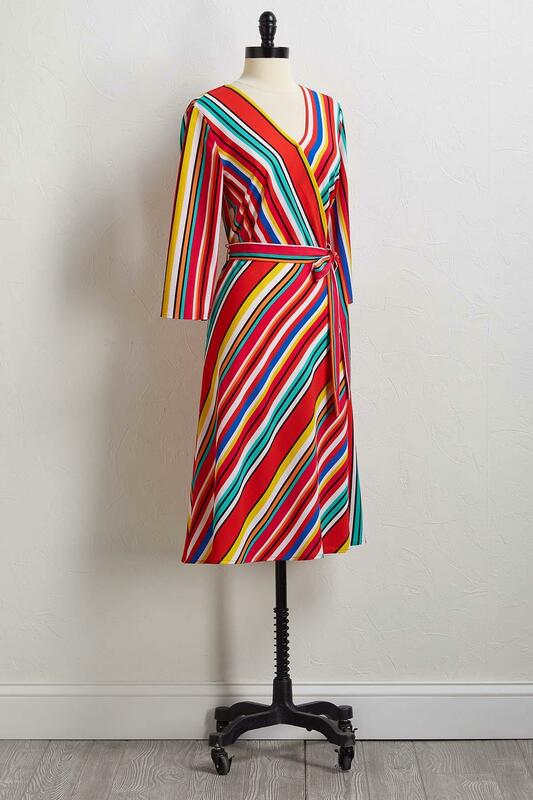 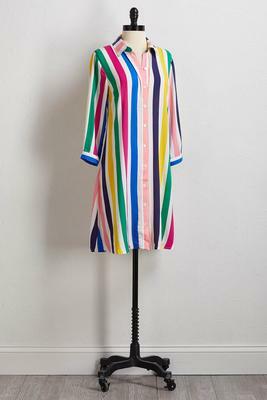 Beyond just the colors of the rainbow, this crepe woven dress features a surplice v-neckline, belted tie waist and bright, multi-colored stripe that will "WOW" your wardrobe. 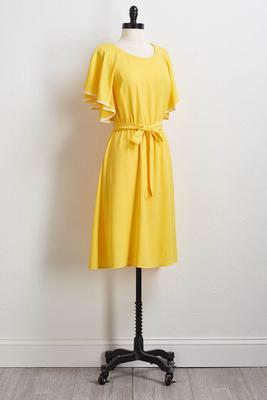 3/4 sleeves, unlined. 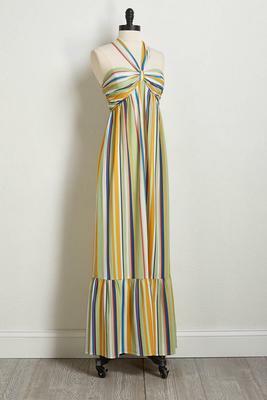 41" length from shoulder.